The plastic bins that a Florida couple ordered from Amazon arrived in a box that was oddly heavy. When they finally wrangled their order out of its UPS packaging, they discovered why. The couple, who asked to be kept anonymous, later told a local ABC news station that their plastic bins were filled with 65 pounds of marijuana. They said they reported the illegal shipment to police, who subsequently seized it. Amazon offered the couple a $150 gift certificate in exchange for their troubles. Amazon declined to comment about the mix-up but emailed a prepared statement confirming it happened to ConsumerAffairs. “Our customer service team worked directly with the customer to address concerns and will work with law enforcement to investigate the case, as needed,” it says. It’s not the first time that Amazon’s inspection process has appeared to fail consumers. The couple purchased the bins through “Amazon Warehouse Deals,” the company’s service for purchasing used items at a discount. Despite claiming to inspect all of its products, Amazon has repeatedly been busted for selling counterfeit goods, as a CNBC report detailed last year. A Facebook group for people who say that their designs were stolen and sold on Amazon has reached 872 members. Amazon last year promised to crack down on knock-off products, but consumer watchdog The Counterfeit Report continues to receive complaints about fakes, such as a customer who reported on October 20 that her Paul Mitchell straightener had no Paul Mitchell branding anywhere on it. Marijuana in Florida is worth anywhere from $400 to $4,000 a pound, according to Narcotics News. Given its value and popularity, some people in this scenario may be tempted to just keep the delivery. Experts warn however that accepting and keeping an unwanted order of controlled substances places customers in various risky situations. “I would just turn it in, because I would hate for the people who sent it to come looking for me,” Karen Goldstein, the executive director of NORML’s Florida chapter, tells ConsumerAffairs. 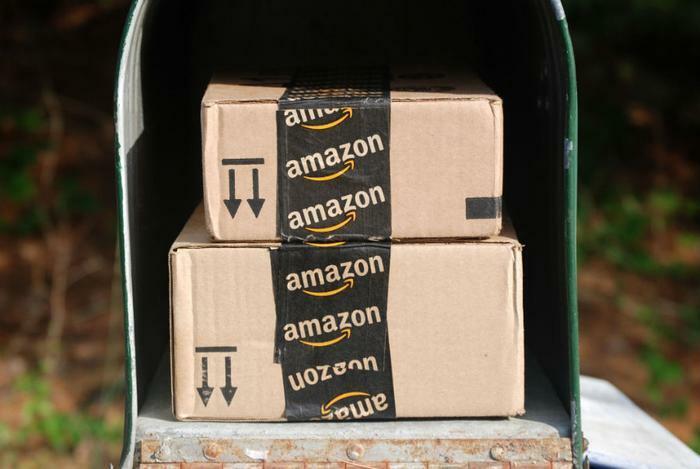 Goldstein adds that people should never accept a package that appears to have been flagged as suspicious by authorities, even if the consumer has no knowledge of having ordered anything illegal. “If the police brought it to my door, I wouldn't accept it,” she said. Not everyone may be comfortable telling police that they are in possession of an illegal substance, even if they were unwilling recipients. Drug Policy Alliance attorney Tamar Todd tells ConsumerAffairs that he is unaware of any law that requires turning an illegal package over to police, should it unexpectedly arrive on one’s doorstep. There is no specific, consistent protocol for delivery services when they suspect that a package contains illegal drugs. The United States Postal Service says that they seized 34,000 pounds of marijuana from the mailstream in 2015, but does not elaborate how. A report that the postal service published last year about marijuana busts is heavily redacted. “When postal employees suspect a package contains marijuana or any illegal drug, they must [redacted], inform a supervisor, and contact the Postal Inspection Service for guidance,” it says. The UPS is more transparent than the postal service, telling ConsumerAffairs that employees are instructed to alert a supervisor if they have a “reasonable suspicion” that an illegal substance is in the package. After that, “UPS reports illegal shipments to law enforcement,” says spokesman Glenn Zaccara. What law enforcement does next varies according to the situation. News reports indicate that Goldstein has the right idea about never accepting a package that has been flagged as suspicious. In 2015, a Chicago man was arrested after accepting a UPS package containing seven pounds of marijuana. Workers alerted police beforehand that they could smell the product emanating from the package, according to the Chicago Sun-Times. And last year a man in Waco, Texas was arrested after picking up a package from a FedEx office that contained more than 10 pounds of marijuana and 655 grams of promethazine. Police made the arrest after he placed the package in his trunk. In 2013, a woman sued FedEx after she said that an unwanted marijuana delivery to her home resulted in a drug dealer showing up at her door.